Dell plans to make smartphones. Remember the Axim? When cell phone manufacturer Nokia (NOK) recently said it would move into developing netbooks, it was hailed as a wise move that would help the company to compete better by diversifying its product base and expanding into new markets. But when news surfaced today that PC manufacturer Dell (DELL) is considering developing smartphones along the lines of the BlackBerry and the iPhone, the news generated a big yawn. The reason: Dell's move comes on the heels of less than stellar first quarter earnings and the fear now, is that a move into smartphones could further squeeze Dell's margins in the years ahead. Besides that, it seems likely that any new smart phone from Dell would be more of a "me-too" product rather than something truly disruptive, as the iPhone was when it hit store shelves. Dell's been down this path before. A few years ago it was selling its Axim line of PDAs while Hewlett Packard (HPQ), Acer and others were selling smartphones. 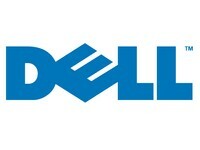 Dell's products didn't provide anything new and the company scrapped that business in 2007 due to poor sales. The news of Dell's move into smartphones came from comments made by Ronald Garriques, president of Dell's consumer division, at an institutional shareholders and analysts presentation in Texas. During the presentation, Garriques said that Dell would try to develop devices with screen sizes between four and 12 inches. He went on to say that the company had plans to create devices based on a variety of cellular communication standards for sale in Asia, Europe and the US, which all have different communication standards. Asia may be the first stop. According to the Financial Times, Ashok Kumar, an analyst with Collins Stewart said that he believed Dell would soon release a smartphone in China running on Google's (GOOG) Android platform. Kumar also said that Dell has partnered on the handset design with Chi Mei Communications, a unit of the Taiwanese electronics company Hon Hai, and that Chinese software company Red Office was developing the phone's software. For now, it seems that instead of moving into the already congested space for smartphones, Dell would do better to restructure the company and re-focus on its core business. There will be plenty of opportunities here to sell new PCs as companies eventually upgrade their computers for Microsoft's (MSFT) Windows 7 operating system, and perhaps even turn to the new Google Chrome operating system.